You know what time it is! 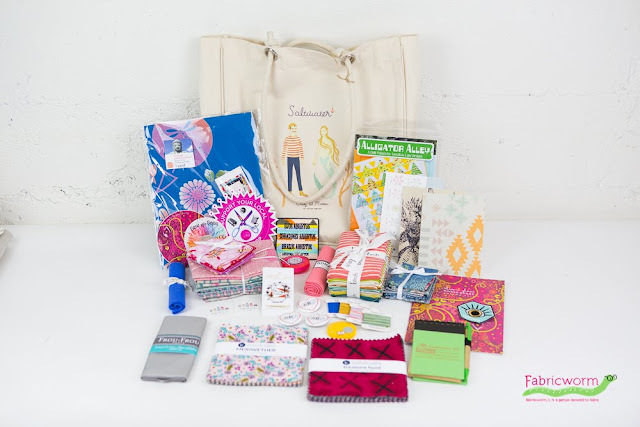 It's time for our Quilt Market Swag Giveaway! 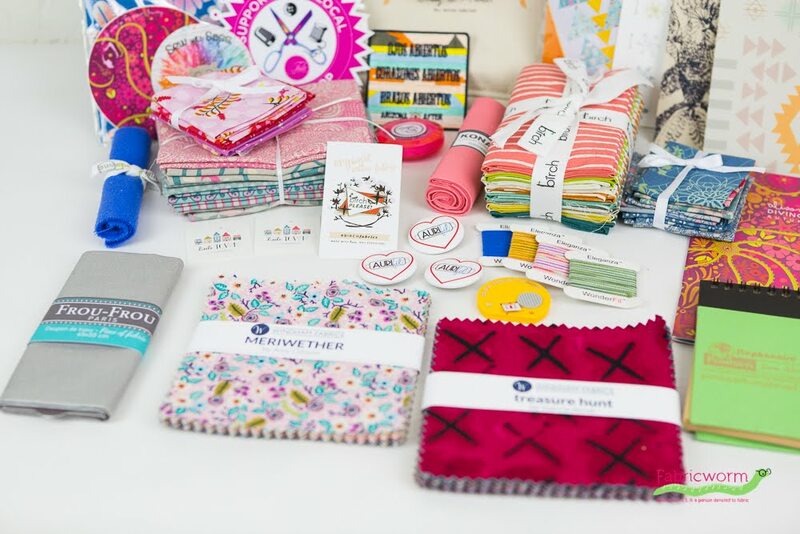 We've got a Fat Quarter Bundle, fabric yardage, quilt patterns, charm squares, post cards, pins, patches, and stickers. 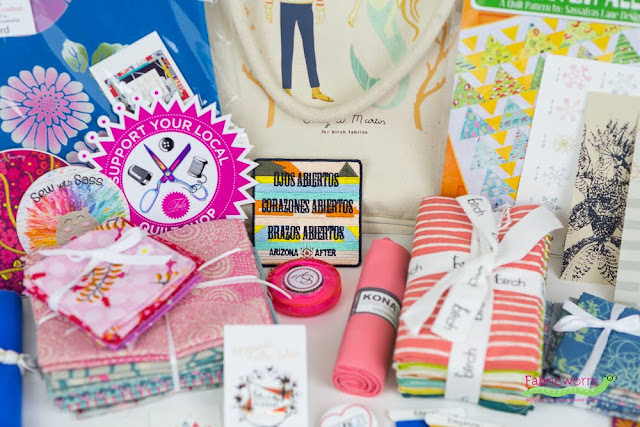 Oh and of course...the adorable Birch Saltwater Tote bag! Visit our Instagram Account for a chance to win all of this! 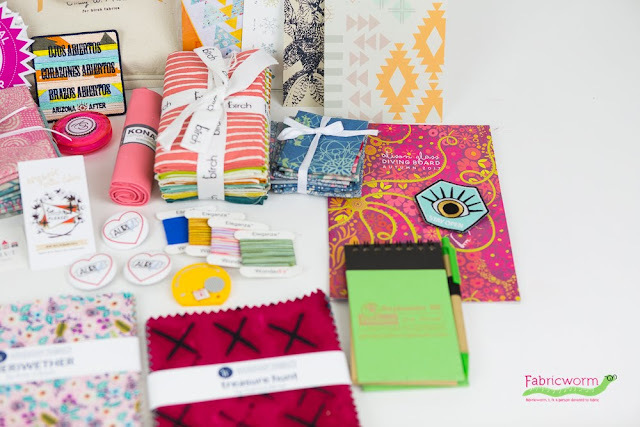 If you are new to fabric or to the sewing community, have no fear, we've got your back. We're here to answer your substrate questions! First things first: what is a substrate? A substrate is the type of fabric being used. This not only refers to the fiber content, but also the weave and the weight of the fabric. Almost all the fabrics listed on our site are a woven, quilt-weight cotton unless otherwise specified. 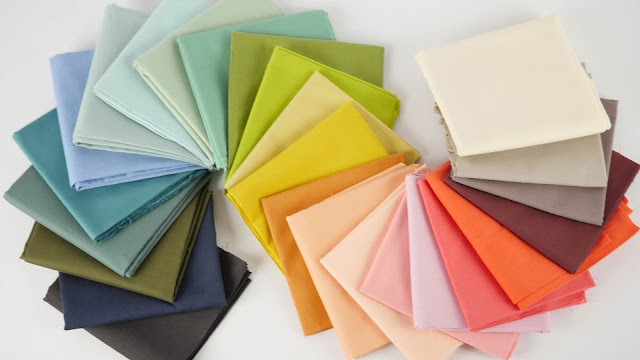 Quilt-weight cottons can be used for much more than quilting, such as curtains, clothing, placemats, etc. Double gauze consists of two thin and loosely woven layers of cotton that are tacked together with tiny, barely visible stitches at regular intervals. It is very soft to the touch as well as light and airy. Double gauze is wonderful for making baby blankets, clothes, and even quilts. Knit fabrics are much more distinct from woven fabric because they have stretch. The flexibility/stretch of the fabric will depend on the fabric content. The only difference you'll find between knits is that some will be labeled as 100% cotton knit in the description vs. knits that are usually cotton with a small percent of spandex in them. Knits with spandex have a two way stretch while the 100% cotton knit has a one way stretch, making the 100% cotton knit less stretchy and more stable. Knits are perfect for shirts, dresses, baby clothes, etc. Durable tightly woven fabric that can be used for bottom weight projects and in other more structured garment pieces. Also great for home decor sewing, bags, and can even be nice in a quilt for a little extra body. Minky is a plush, fluffy, luxurious-feeling microfiber fabric. It is often used to make blankets and quilt backings. A plain woven fabric that can be made from cotton, silk, or manufactured fibers, but is most commonly cotton. It incorporates a colored warp (often blue) and white filling yarns. Cotton lawn is a 100% cotton fabric made from very fine and thin high thread count yarns, yielding a smooth, crisp, untextured surface. Lawns are great for making lightweight apparel and quilts. 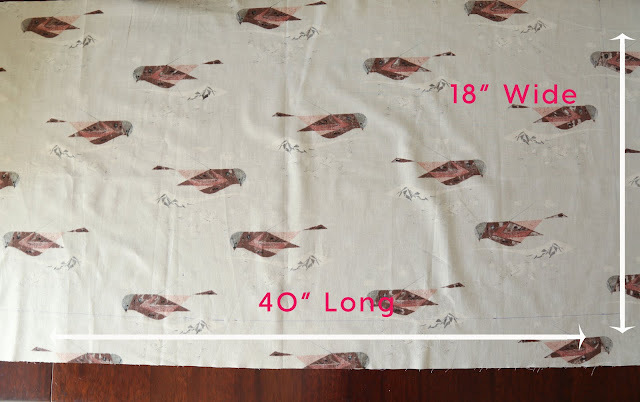 Voiles are a soft, thin, semitransparent fabric than can vary in fabric content. 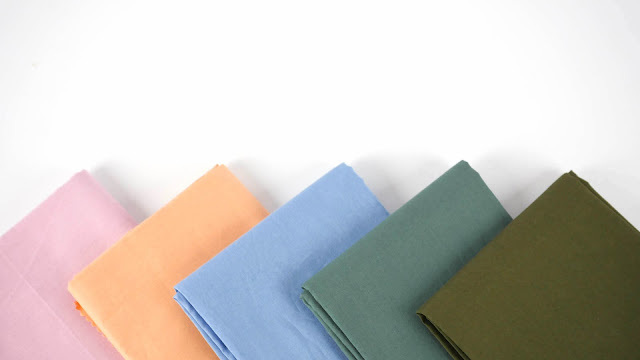 This lightweight and smooth fabric is perfect for apparel, quilts. Rayon is a textile made from regenerated cellulose (viscose) or in other words, a plant based fabric. It is a versatile fabric with a wonderful drape perfect for gowns, flowing garments, blouses, etc. 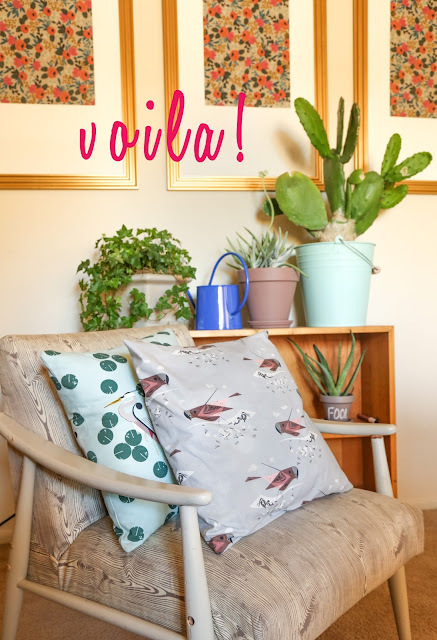 Simple and Easy Pillow Cover Tutorial! Hello, Fabricworms! Now that summer is quickly approaching, you might find some time in your busy schedule to spruce up the decor. 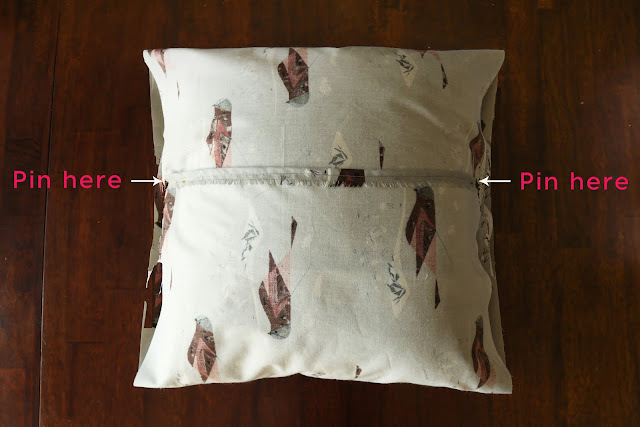 One incredibly easy way to do that is to sew up some easy pillow covers. Let's get started! First, measure your pillow! My pillow just so happen to be 17" x 17". Add 1" to the width of the pillow, and for the length, multiply the length by 2 and then add 6 more inches. After you've measured, cut off the excess fabric. 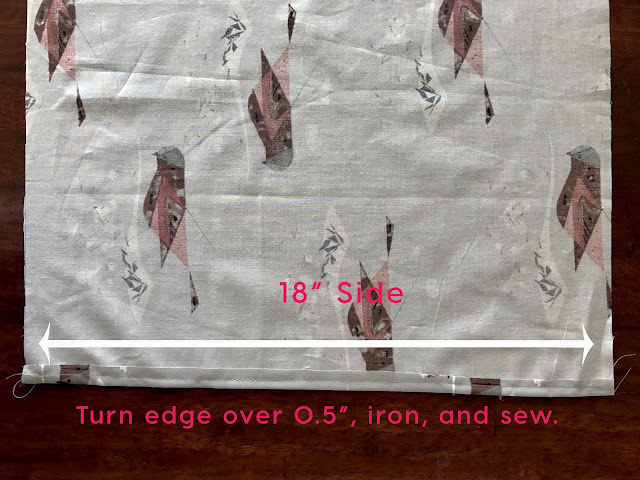 Sew both of the 18" wide sides of your pillow. 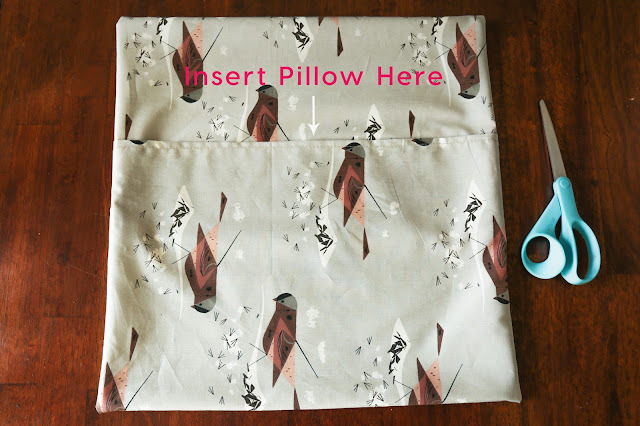 Place pillow in the middle of the fabric and fold one edge over the other. 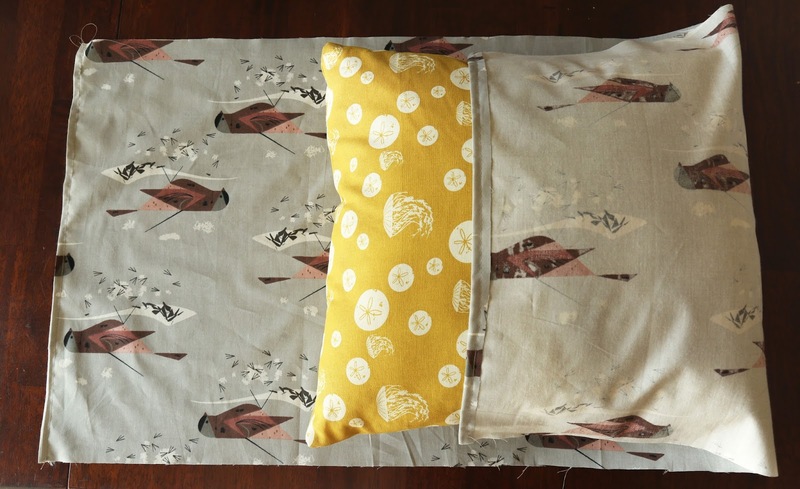 Make sure the pillow is nice and snug, then pin the two fabric flaps together. Slide the pillow out, pin the edges, and sew using a 1/2" seam allowance. 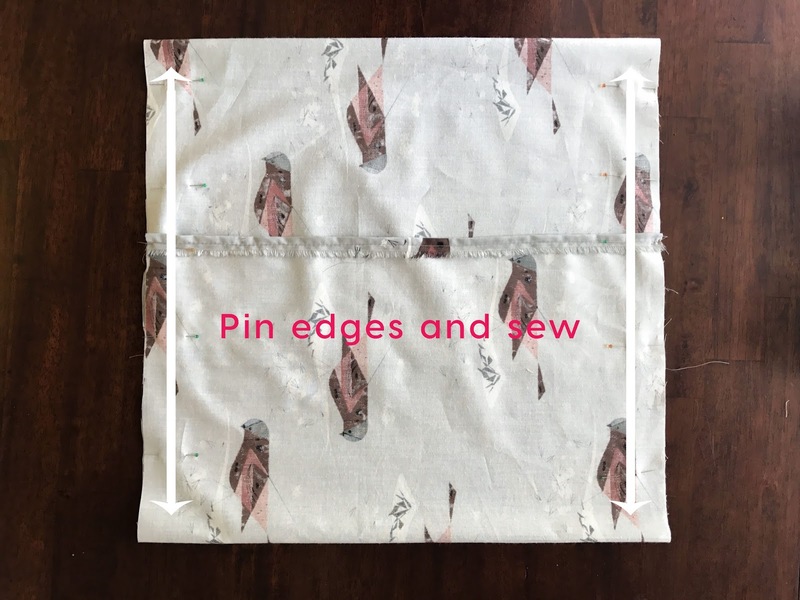 Once you've finished sewing the edges, turn right sides out. Make sure to push the corners out!